After the Oscar-winning actress and one of the most committed daughters of Israel refused to fetch the “Jewish Nobel Prize,” worth $2 million in Israel, due to her distress over the “recent events”, local MP demands more distress for her. Major storm on Twitter follows her decision. Nightlife in the Russian capital may soon take on a new variety with the upcoming opening of the first legal sexbot brothel in the country. COLORADO SPRINGS (Sputnik) - Moon village - a product of international collaboration among spacefaring nations - already exists in contracts and remains an open concept, European Space Agency (ESA) Director-General Jan Woerner told Sputnik. 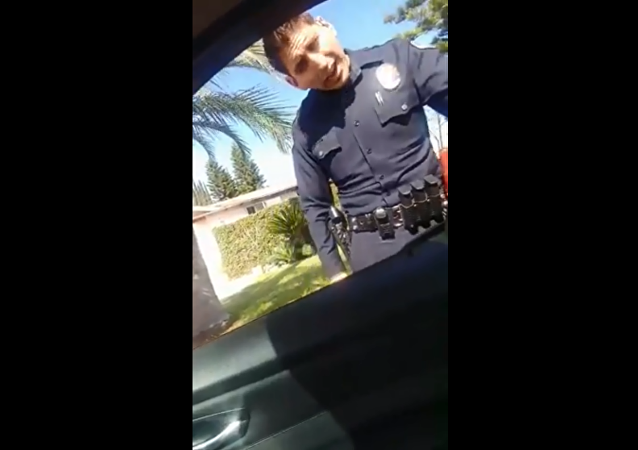 California's West Covina Police Department landed in hot water this week after video footage showing an officer snatching a woman's phone was shared on social media on Tuesday.